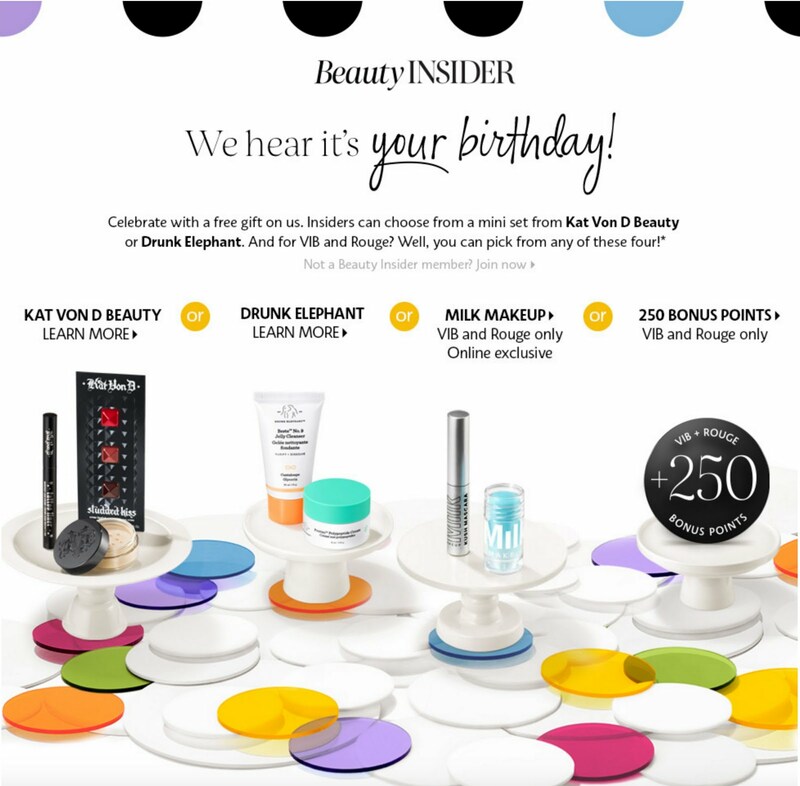 I quickly wanted to share this year's Sephora birthday gifts with you. 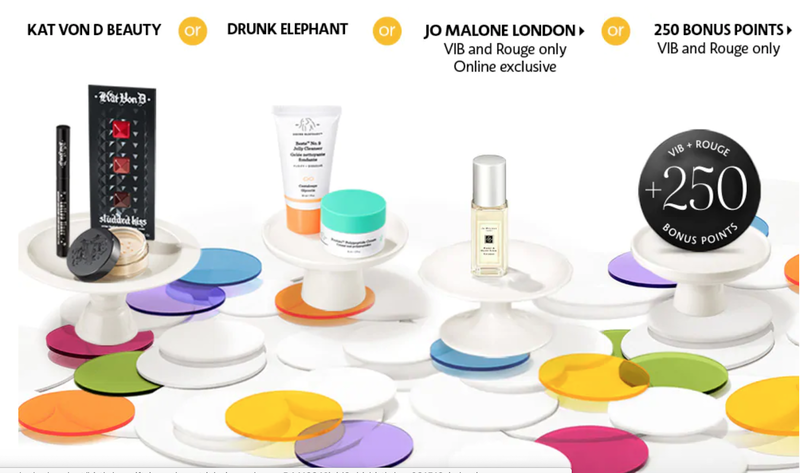 As you can already see that there are more options to choose from and two options just for VIB and Rouge which are the Jo Malone 9ml cologne or the 250 Reward points. Last year I picked the points because I like the Rewards Bazaar and can usually get a nice size travel friendly product for free. I have tried numerous rewards in the past so the points have more worth to me than the gift itself. This time, since I was travelling during Spring Break I picked the Drunk Elephant set. I had never tried Drunk Elephant because it seems very expensive, and I thought this was a nice way to try out the brand. The birthday set includes a Mini Protini™ Polypeptide Cream & Mini Beste™ No.9 Jelly Cleanser. For me the star of this set was the Protini Polypeptide Cream since a 50ml full size jar retails for $84, I really wanted to see the effects on my skin. Sadly, this cream did not do much for me. Its a nice moisturizer but did not make my skin look any better than before. The redness on my face looked the same way and I felt my breakouts became more noticeable. It made my skin look greasy as the day went on. Overall, I did not like it enough to continue using. The winner for me was the Beste No.9 Jelly Cleanser. It cleans throughly and kept my skin fresh and clean. I would like to believe that this cleanser somehow prevented the Protini cream from breaking me out because it gently exfoliated all the impurities and greasy mess of the cream. I might even repurchase the Jelly Cleanser because it really is good! Now, since I picked this gift in Jan 2019, I was presented the options below. But now the choices for VIB and Rouge include the Jo Malone cologne! I don't know why it wasn't there in the beginning of the year or I would have picked that up. Anyways, Sephora will always have something in the Rewards bazaar and over time, I have started to really enjoy the Beauty Insider program.